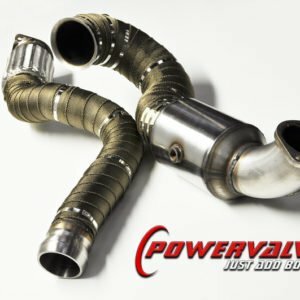 When it comes to exhausts there are quite a few manufacturers all over the world. 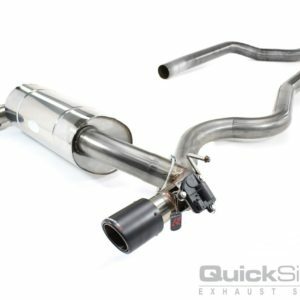 The reason we decide to sell and work closely with Quicksilver exhausts is they outright produce some of the finest systems you will ever be able to get your hands on. 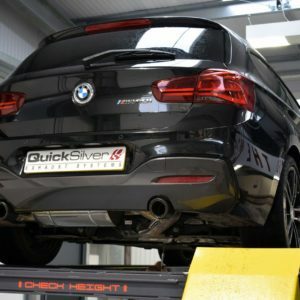 Not only is every exhaust component developed, produced and rigorously tested to the highest standards, Quicksilver exhausts will never put a product out to sale that they aren’t 100% satisfied with. British engineering at it’s finest! 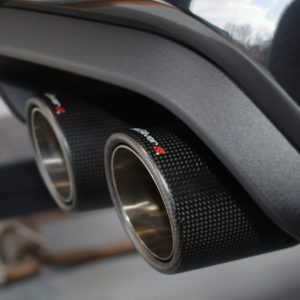 A lighter weight system that has more efficient flow and shows a noticeable improvement in throttle response whilst enhancing that sports car sound at a touch of a button. 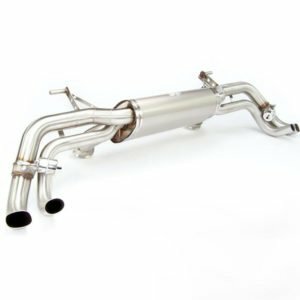 The BMW M2 active exhaust is a lighter weight system that has more efficient flow and shows a noticeable improvement in throttle response whilst enhancing that sports car sound. 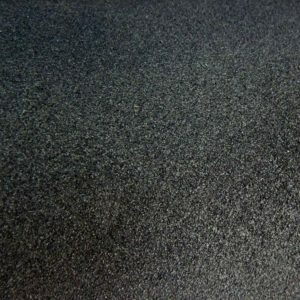 The system is designed to work with the engine, so at lower revs the sound remains relatively civilised and at higher revs it provides more presence and volume. The system is fully valved so can be operated independently to the cars setting. A good sounding engine made fantastic. 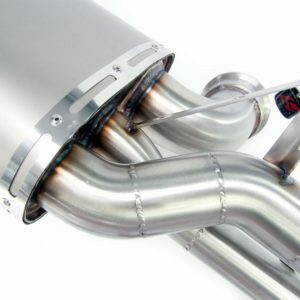 One of the M3/4’s biggest power, torque and noise restrictions is the factory catalytic converters. 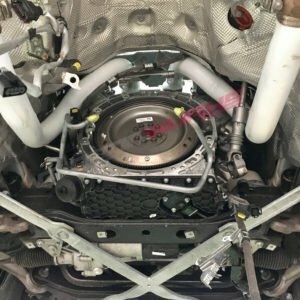 It’s often one of the more common and first things to change on any road car to further enhance the soundtrack of the exhaust as well as open up the tuning possibilities with more power gains being achieved. 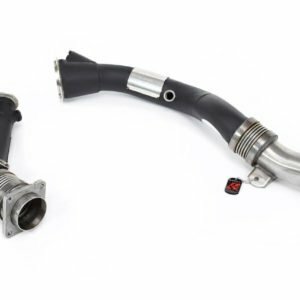 These replacements downpipes are a lighter weight component that has more efficient flow and shows noticeable improvements. The downpipes are also ceramic coated too. Carbonwurks have been working with the boys at BCS for a number of years now and there is a clear reason why we keep going back with development parts, and that is quality. 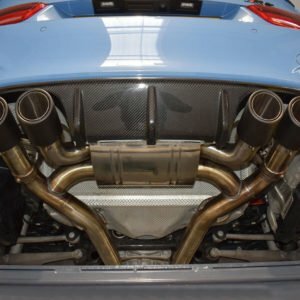 The Mercedes 45 range downpipe and mid pipe is no exception and is one seriously impressive piece of kit. After months of hard work from the guys at BCS they have brought out their downpipe to mid pipe with either a decat or sports cat option. One of the C63’s biggest power, torque and noise restrictions is the factory catalytic converters. 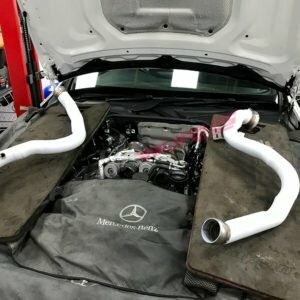 It’s often one of the more common and first things to change on any road car to further enhance the soundtrack of the exhaust as well as open up the tuning possibilities with more power gains being achieved. 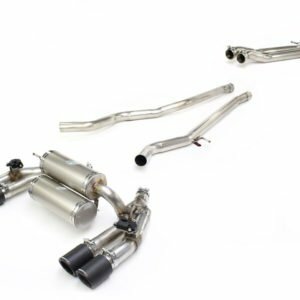 These replacements downpipes are a lighter weight component that has more efficient flow and shows noticeable improvements. The downpipes are also ceramic coated too. It’s taken many months and into the years to develop and produce the M3/4 Switchable exhaust but the wait was well worth it. 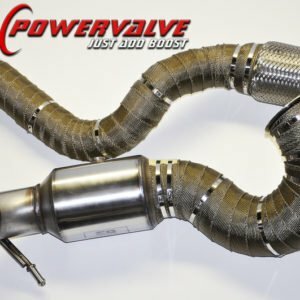 This active valve system allows the driver to switch from a refined tone to crazy race car loud in an instant and comes with Quicksilver special carbon sleeved tips to define the look.